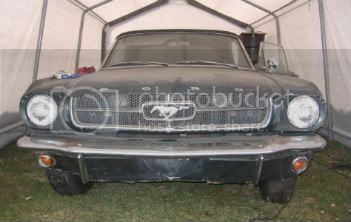 I just purchased a 1965 Mustang convertible, 289, 4 speed man. trans. 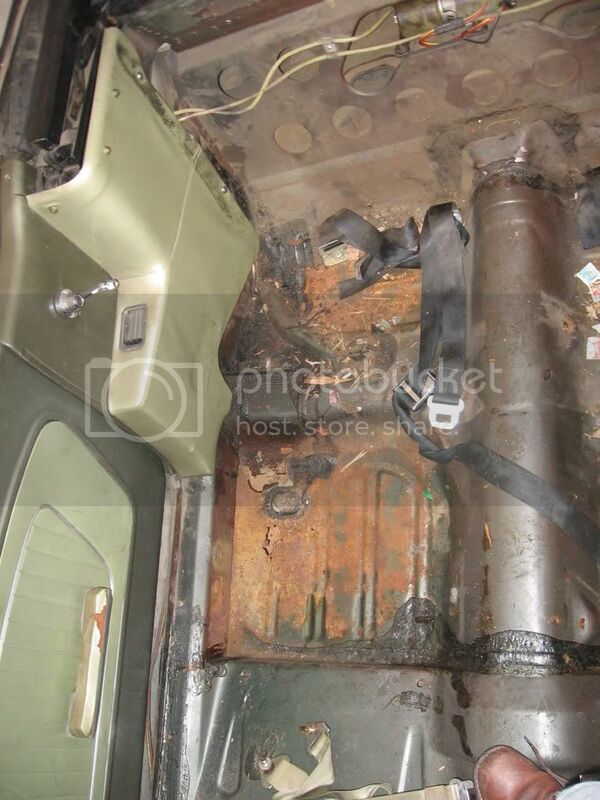 It is very badly rusted out underneath. It is sagging and the doors are hitting. Anyone got any advice on where to start replacing metal, how to brace, and how to square it up? It hasn't moved for at least 10 years (I'm renting the garage it is parked in) and has 4 flat tires that don't hold any air. any good ideas how to get it off the ground without twisting it out of shape? I will try to add pictures once i get up to the garage with a camera, maybe Friday. Any ideas would be appreciated. If this option doesn't work for you and you want to rebuild this one, be ready for a great deal of work. 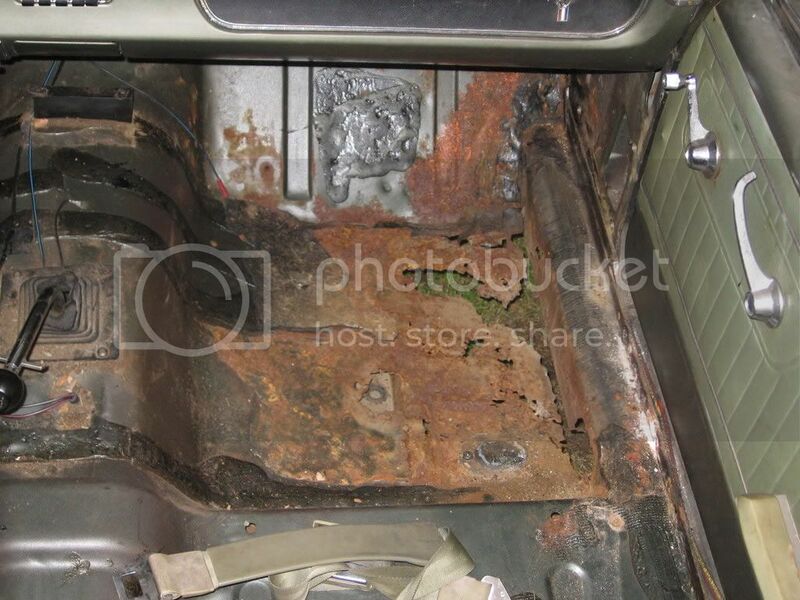 The best way to get it back into shape is to completely strip it down to the bare shell. 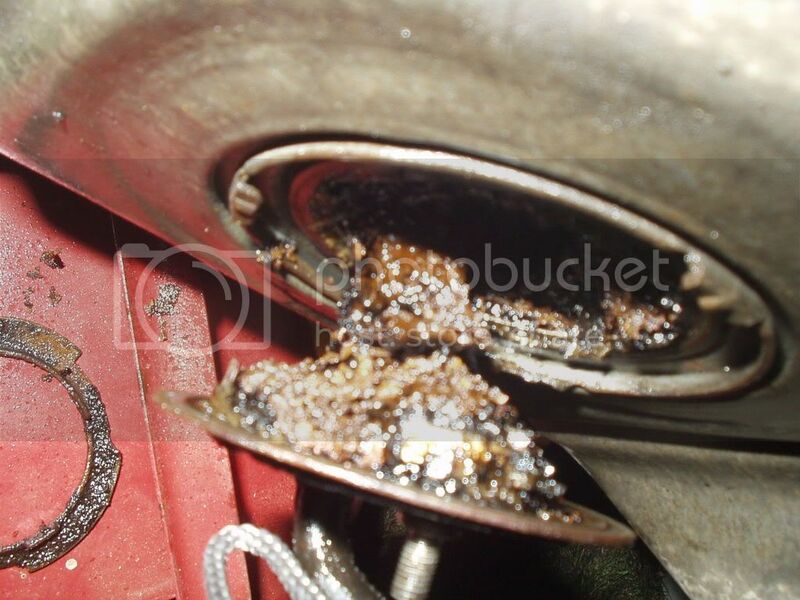 Remove every part that is bolted to the car. Now that you have most of the weigh removed, you can use jack stands to support it. Use at least 8...position one under each torque box 2 under the radiator support and 2 at the rear of the rear frame rails. 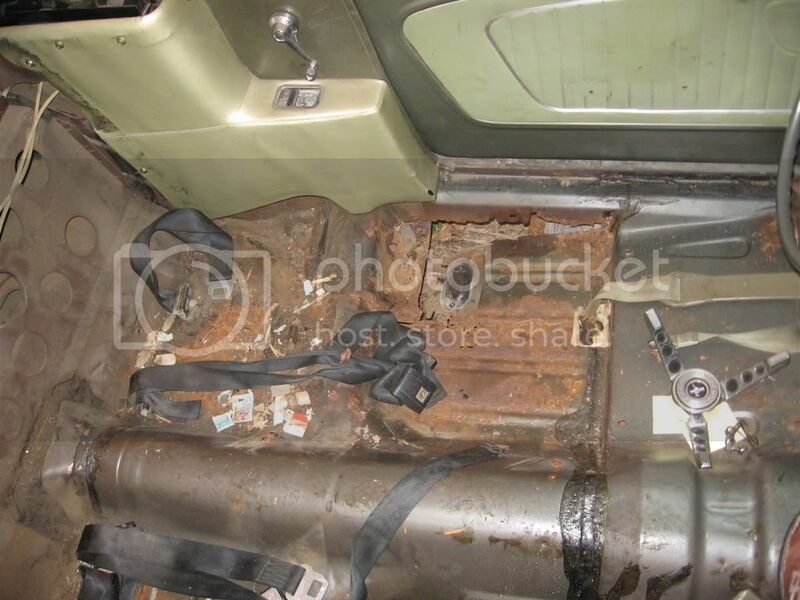 If it is as bad as I suspect, you will need to install a new floor (they sell a 1 pc), inner & out rockers, all four torque boxes, rear frame rails, upper and lower cowl, 1/4 panels, inner & outer wheel wells, trunk drop downs and all the front fender aprons. The car will not really line up until you get all the metal back on and it is solid again. It is very important that you properly align all of the metal before you weld it in to place. You will need to get a factory assembly manual to get the factory measurements. My sig has a picture of a 66 convertible we just finished a few months back. Hope this helps...if you need more specifics just ask. 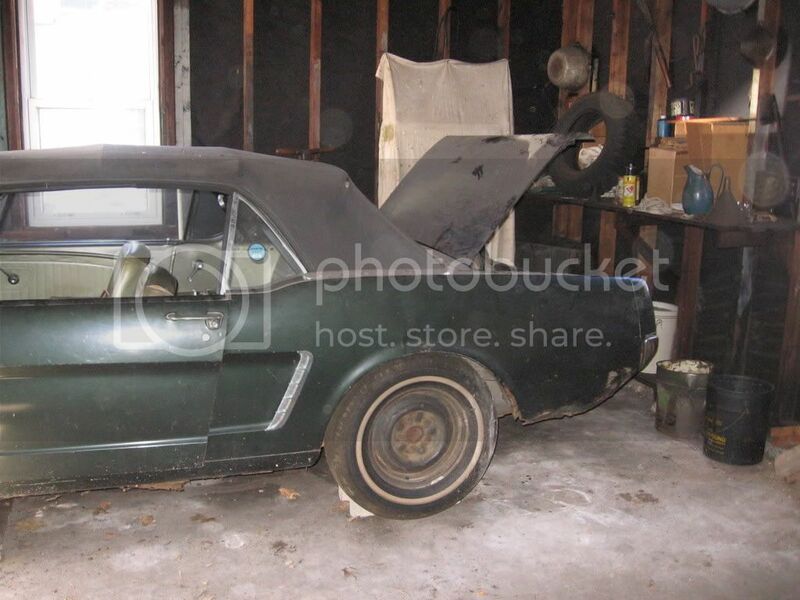 I'd do what Corbette_Auto said, and use the Mustang you have now as a parts car for a car that's not literally falling in due to rust. Unfortinately(sp?) it is hard to find one around here in northern NJ that wouldn't be just about as much work that is reasonably priced, and I don't have the room for another car. 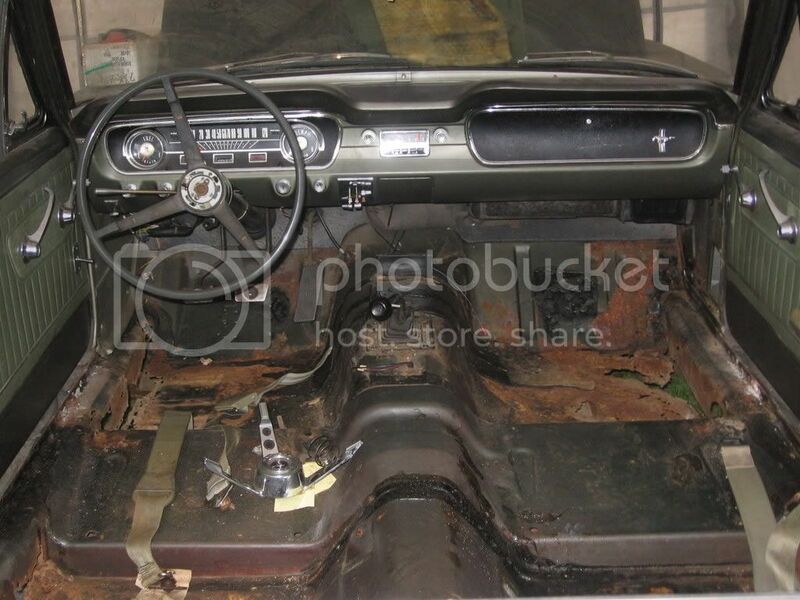 you will need to install a new floor (they sell a 1 pc), inner & out rockers, all four torque boxes, rear frame rails, upper and lower cowl, 1/4 panels, inner & outer wheel wells, trunk drop downs and all the front fender aprons. 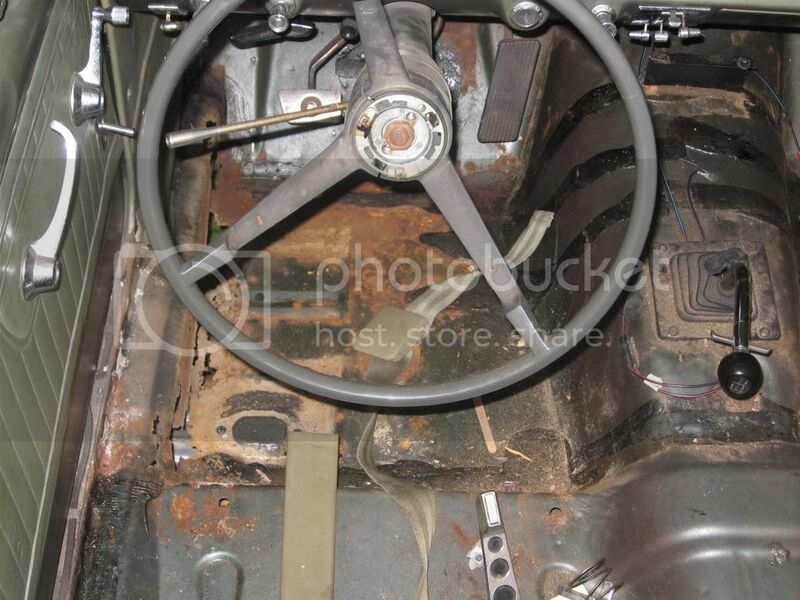 The floors look like chicken wire, but the hump over the transmission looks ok, so I hope to use just 2 full pans. Other than that, I am realy just interested in making it drivable for now, then decide if i want to keep it and do a full restoration, or sell it. But i will probably end up doing everything once i get started. But it will probably take me 5+ years on a student budget and schedule, just spending weekends and vacations working on it. And another question. 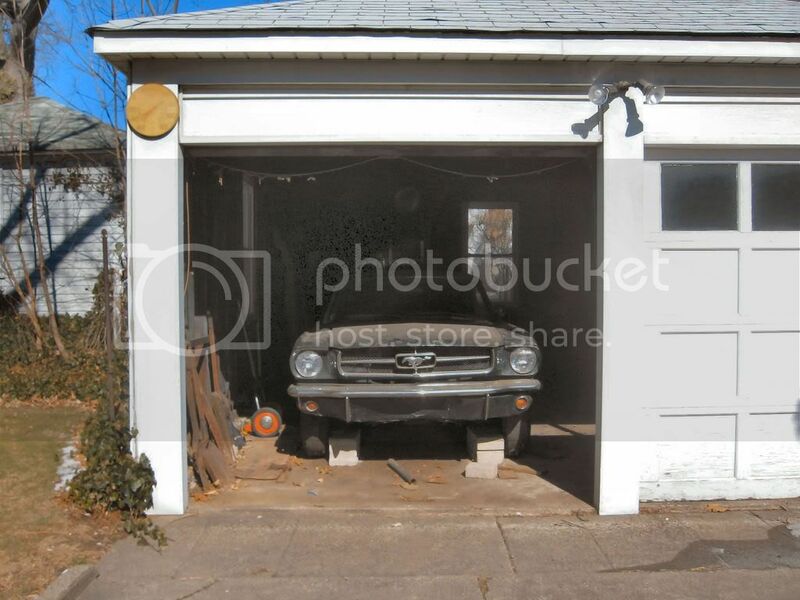 Would one of those portable garage things on a level driveway be an ok place to work on it? or do i need a better idea? 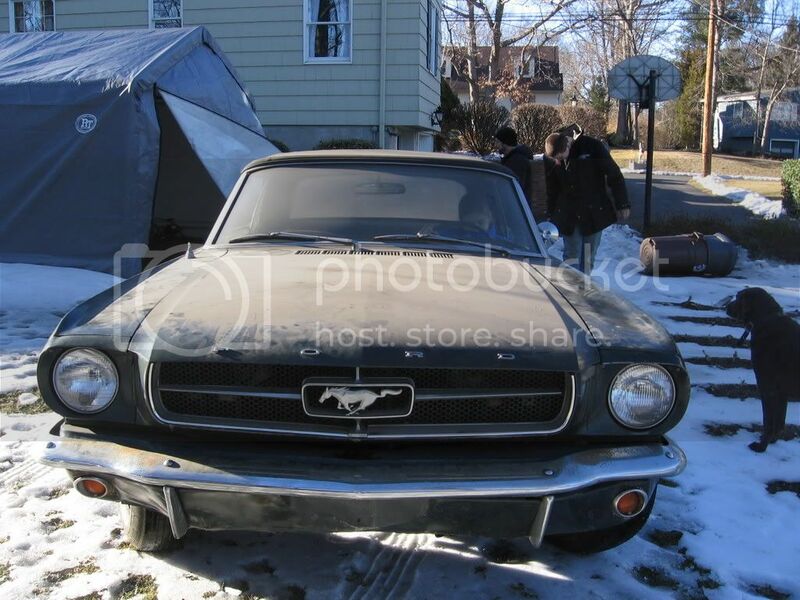 Or am I completly insane for even considering restoring this car? 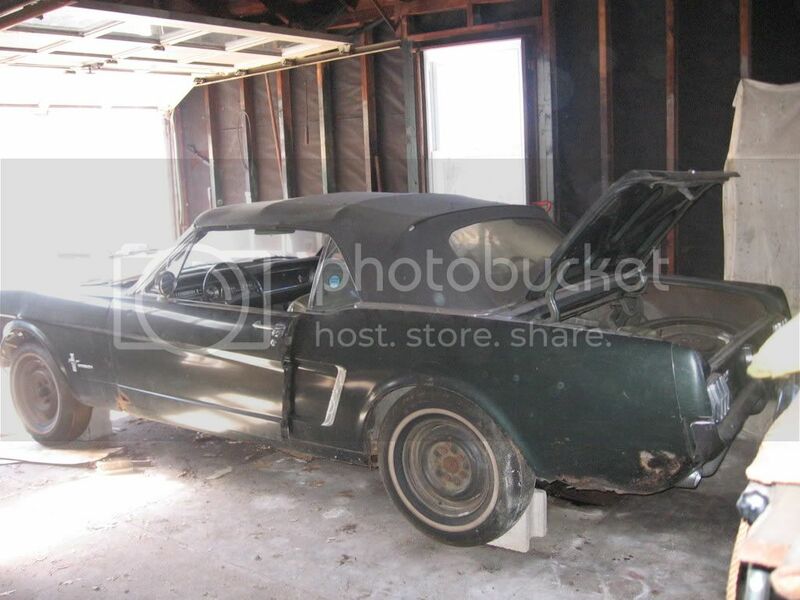 .....am I completely insane for even considering restoring this car? It sounds as though you purchased a car with some good options...but if the car is as bad as you describe.....you may be better off with one that needs less work. Restoration can become very frustrating when you bite off more than you can chew and based on your questions you have more than a mouthful. You do not need to necessarily get rid of it. Maybe find an easier project to get your feet wet. Get one that just needs a tune-up and a brake job. Drive it around for a while, sell it for a profit, then buy one that needs a little more work....then repeat. 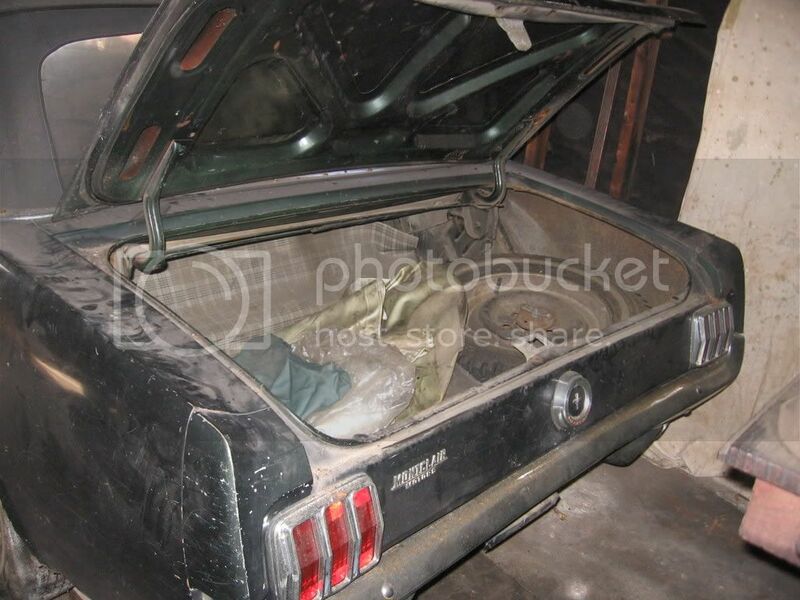 After a few years will have gained the skills, money, tools, place to work and patience needed to dive into a project like the Mustang. 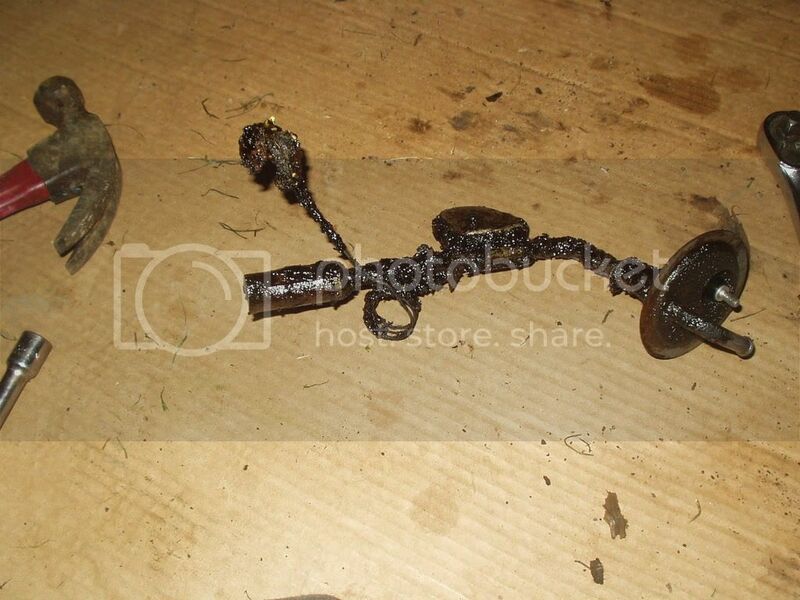 I guess I've passed the point of no return, I realy want to fix the car up. 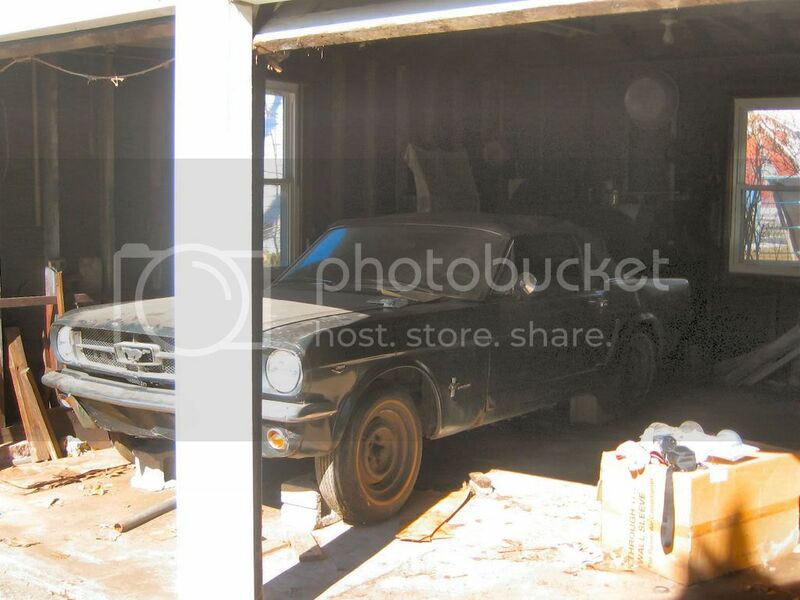 As for skills and tools, my brother is working on a 67 mustang coupe, so he has a some tools, and some experience, so with his help and my dad's, I think I can make it through some of the more difficult times. And I figured if I realy run out of patience, I could sell it as a parts car and probably break even. Is there any way you could post some pictures of it? I'm curious as to how bad the rust damage is. I have experience restoring and building cars, it's what I do. I can tell you a lot more from a picture. I will try to get pictures friday or saturday, but i have to see when i have time, a camera, and access to the garage. 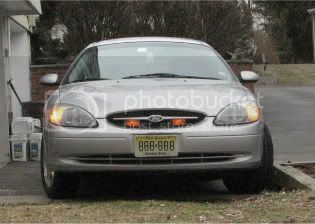 The hole in the last picture is in the inner rocker panel. This is a very hard panel for a novice to repair. Floors and fenders are not so bad, but I recommend you proceed with caution. The inner and outer rocker are what holds the car together. The rest of the car looks really good, but the structural damage looks bad. You really should consider finding a donor vehicle with a better body. 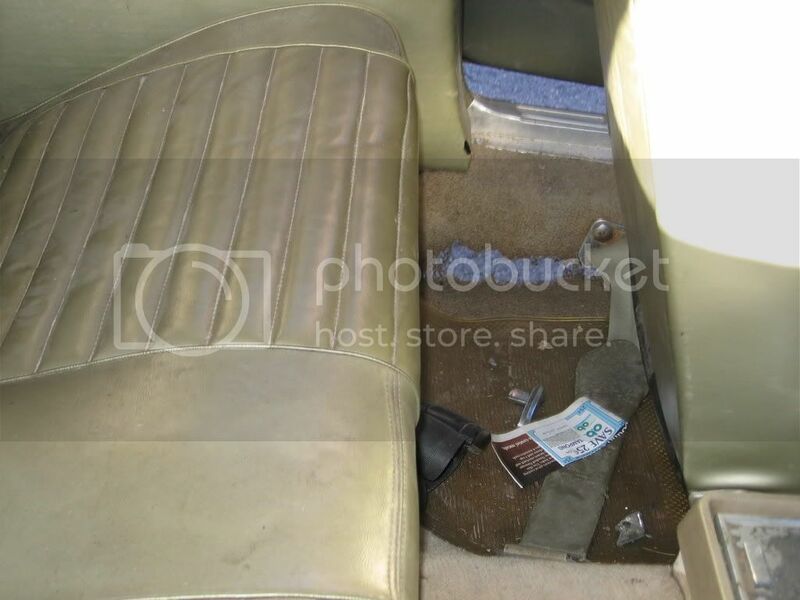 The next step you should take is to remove the seat and carpet. Then vacuum out all of the dust, dirt and rust flakes...then look it over really good...this will give you a good idea of where you stand. I think the frame rails might be toast. My suggestion is to take the drivetrain out and drop it in a better suited, less trashed body. Get a same year 200ci inline 6 cylinder car. They can be had for cheap. Or better yet, just find a shell. Well I did two things since I last posted. 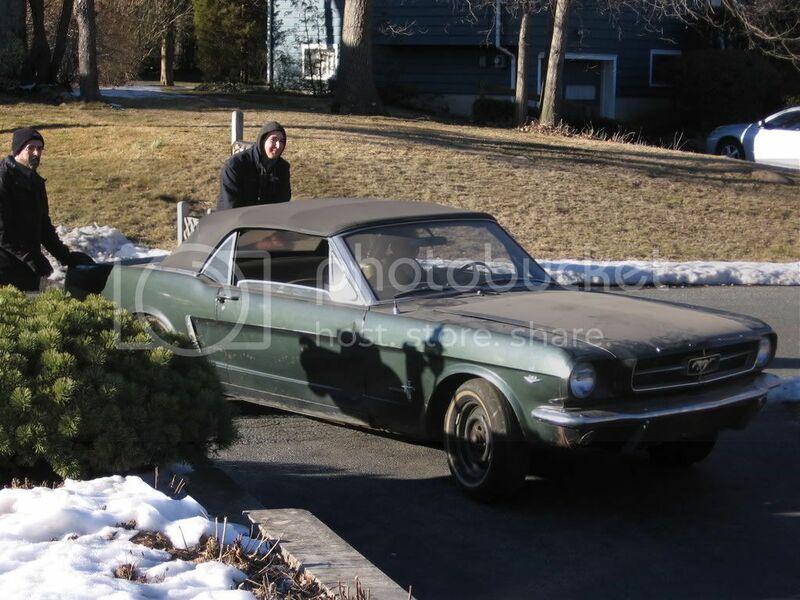 First of all I drove it around the block a few times, I just love the way it drives. It took a bit of work though, because when I opened the gas cap, I realized it still had what appeared to be about 10 gallons of gas still in it, after its been sitting for 10 years. After I siphoned out as much as I could, I found about an inch of a thick, tar like substance in the bottom of the tank. Not fun. So for the moment, I have my brothers gas tank and sending unit in it, so I could drive it around. The other thing I did was pull out the seats and carpet. See pictures below, click for larger. 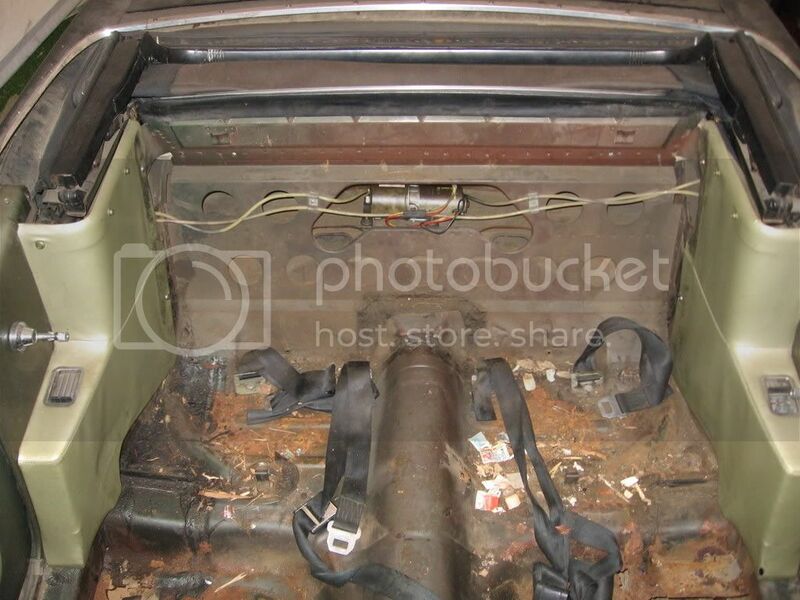 edit: I forgot to mention that I hope to go to Carlisle PA Saturday to pick up front torque boxes, 2 complete rockers, 2 full floors, 2 frame rail floor supports, and 2 convertible reinforcement pans. Anything else I should get while I am there? Last edited by dvdrose18 : 04-18-2007 at 06:58 PM. Make sure that you are getting the inner rockers. You may also need the outer, but I can not tell from the pictures. And be ready for a lot of work. Replacing the inner rockers is a very difficult task. Once you get the parts lay them all out and develope a good game plan. You will also need to buy or borrow a few tools to do a good job. And the main thing to remember is take your time. There are a lot of parts you will need to take off and save such as the seat platform. We normally just buy a new one because it is cheaper and faster than trying to save the old one. As you dig deeper into it don't be affraid to come back and ask questions. You will get your share of smart a$$ answers, but a few of us will try to help if we can. I'm getting the complete rocker, its got the inner, the outer, and the front extension all stitched together. And what tools would you be referring to? I (my father) already have a couple air tools, spot welder, Mig welder, grinder, etc. And also, when you replace the rockers, is it wise to weld braces across the door openings, or is it better to leave the doors in to line things up, and put braces somewhere else?